This Non-Profit Ski Area Is Community Owned And Prices Reflect It. 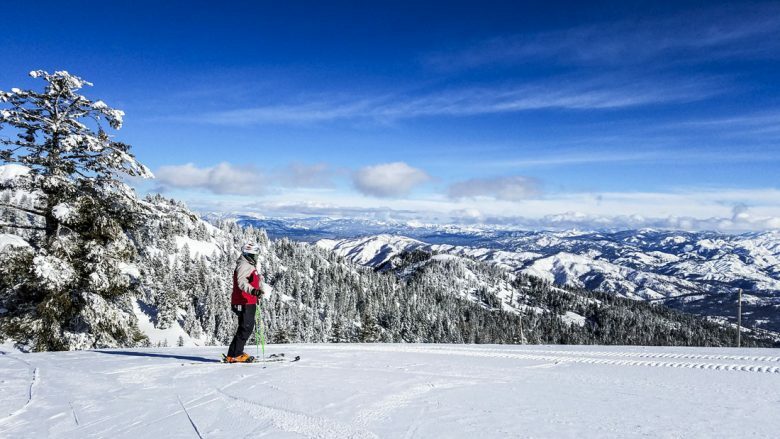 Bogus Basin outside Boise, ID, is the local ski hill. But it’s not your usual tiny, rustic, over run local hill. 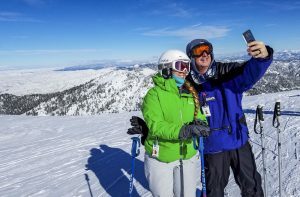 Skiing couple takes a selfie at Bogus Basin outside Boise, ID. Indeed, the size might make it a destination hill in many places. It is second largest in Idaho after Schweitzer. But the vibe is definitely local, families doing box lunches, school buses loaded with local kids, night skiing seven days a week. “We see people from Texas, from Florida but this is not our focus because we have so many local people to draw from. “The quality of our skiing is equal to destination areas but there’s no granite in the bathrooms, and our chefs aren’t wearing tall hats.” Wilson added. Why, then ski Bogus as a visitor? Because it’s 40 minutes from Boise. If you are flying in to ski elsewhere, say, Brundage and Tamarack near McCall, or Sun Valley, odds are you come through Boise, a vibrant, fresh new city. 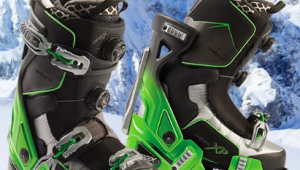 So it makes sense to spend a day or two, and also perhaps a day skiing Bogus. Location: Bogus Basin is 16 miles north of Boise, ID, which is towards the southwest end of the state. It’s about a 40 minute drive from downtown. The city is in the midst of a construction boom with 800 new hotel rooms expected by next summer. The ski area draws from the entire “Treasure Valley,” some 700,000 people from Boise and surrounding towns. 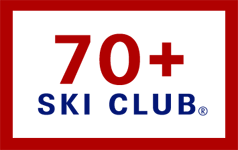 Snowfall: 200 – 250 inches a year. Four “fan guns” fill in where snow is sparse in early season. Terrain, lifts: Three detatchable high-speed quads, a triple chair and three doubles, along with a conveyer belt for beginners, serve the 2,600 skiable acres. There are 78 named runs. Eighteen percent are easiest, 42 percent intermediate, 40 percent expert. Free mountain tours are offered weekends at 10:30am and 1:30pm. Vertical: 5,800 feet at the base, 7,582 at the top, resulting in just shy of an 1,800 foot vertical drop. Nordic & more: 37 km of groomed Nordic trails for day skiing, 7 km for night, 12 km for winter fat bikes and snowshoes. Frontier Point Nordic Lodge has a gas fireplace, equipment rental, ticketing office and waxing bench. Lot to Lift Access: Seven parking lots with ski in-ski out access, more with shuttle service. Accommodations: No on slope lodging. The Vibe: This is a local hill on steroids. Not wild and crazy but, rather, casual, friendly, but much larger than you expect. Since most skiers here are locals, they ski well and know the mountain. Ride a lift with one, and he/she will give you tips on getting good snow. Dining: Of the three lodges, two have grills, bars or some sort of food. These include the J.R. Simplot Lodge at the base and Pioneer Lodge on the upper mountain. Mountain Life: Snow, snow and more snow. Alpine and nordic skiing, fat tire cycling. You don’t come here to lounge in front of a fireplace in expensive duds. You get out and go, then come in to rest, then get out and go some more. Bogus is terrific! All of my kids learned to ski and snowboard there. As a family we skied Bogus for ten years when we lived in Idaho. One tip I would add is be very careful driving up Bogus Basin Road. It’s very windy with multiple switchbacks. Icy patches hide in the shady spots. Take your time, but use the pull-outs if you get too many cars lined up behind you. Bogus is worth the drive though. Also, night skiing rewards you with terrific Views of the city’s lights. And, Bogus is usually about ten degrees warmer than Brundage. All around super ski area!